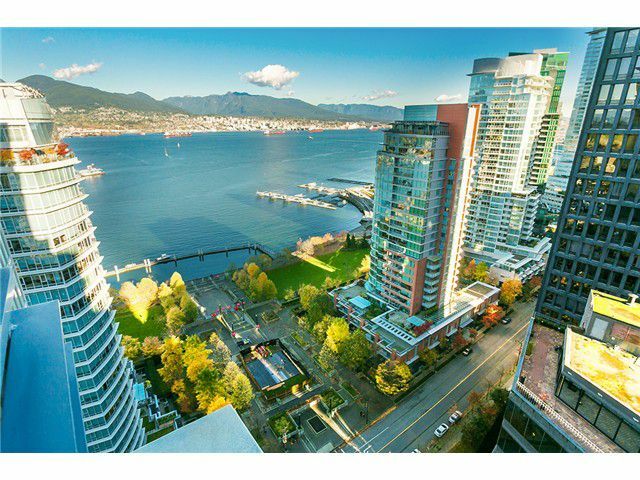 BREATH TAKING VIEWS of Coal Harbour, mountains and city. Exceptional finishes throughout, new wire brushed oak hardwood floors and light fixtures, open kitchen with gas range & S/S appliances and air conditioning. One of a kind Penthouselevel sky spa allows you to exercise using state of the art equipment or unwind in the hot tub or relax around the outdoor fireplace all while enjoying the stunning views! Urban Fare shopping on the ground level. Pets & rentals are allowed, 2 side by side parking, storage locker and 24hr concierge. Live in the most sought after water front luxury neighbourhood.